10 Commitments for Dads is filled with examples of successes and failures from Josh's experiences--seasoned by biblical truth--and includes some practical steps to prepare your children for life. 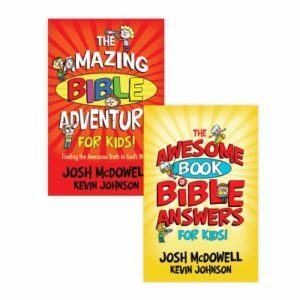 This MP3-CD features four encouraging talks from Josh, Dottie, and Sean McDowell focusing on the need to develop authentic relationships with your children. Rules without relationships lead to rebellion. 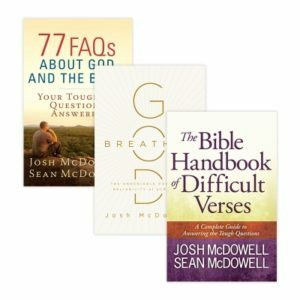 Discover how relationships form the very foundation on which we establish rules and pass our faith. Each message is approximately 45 minutes long. 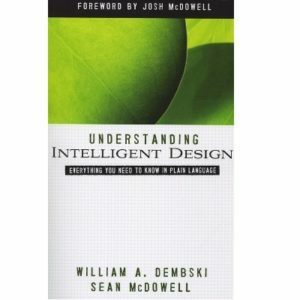 This MP3-CD is specially designed for MP3-compatible devices, including most newer CD players, CD computer drives and in-dash automobile systems. Being a dad can be the most challenging job in the world, but it's also among the most critically needed jobs in the world. Current research overwhelmingly validates the importance of a father's involvement in their children's lives and the unfortunate consequences when he's not. An involved father is vital to their children's development and overall happiness. 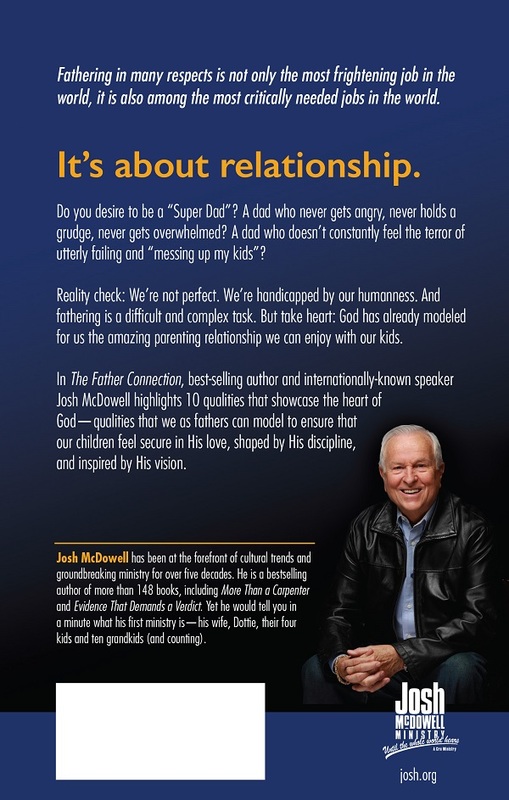 But take heart: God has already modeled the amazing parenting relationship you can enjoy with your kids! 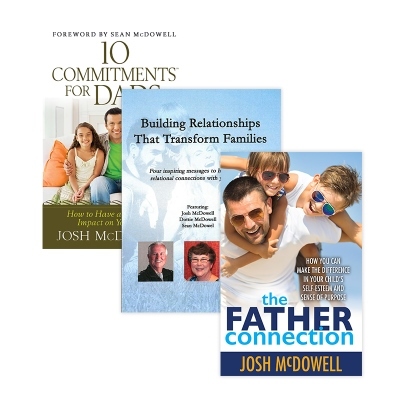 In The Father Connection, Josh McDowell dives deep into 10 critical parenting qualities that will help you to mirror the way God fathers you. Apply these principles to become the kind of father--modeled after God's own heart--your kids need you to be. Rules without relationships lead to rebellion. Truth without relationships leads to rejection. Discover the importance of developing authentic relationships with your children. 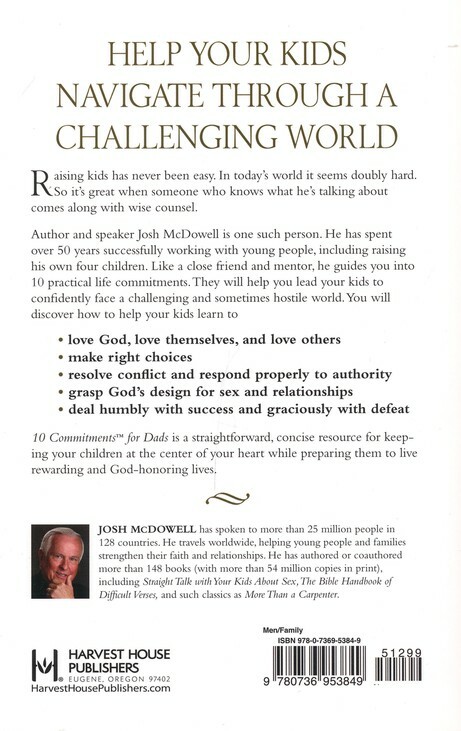 Apply these principles to become the kind of father–modeled after God’s own heart–your kids need you to be.